Harley-Davidson continues to have the largest market share in motorcycle sales. You know how popular they are when all you have to say is “Harley” and folks know exactly what you’re talking about. Harley-Davidson’s are the classic American motorcycle and for good reason. Harley’s are generally heavier bikes allowing for cross-country adventures with ease. Harley’s are durable, powerful and easy to work on as well. When purchasing any vehicle or motorcycle, it’s beneficial to know exactly what you’re getting into and where problems could arise. Harley-Davidson’s are no different. Buying a motorcycle is a big investment. A brand-new Harley-Davidson is not cheap. 2019 models start around $7,000 and go well above $43,000 for the top of the line bike. Like everything else, the key to making a good investment is doing your research in advance. 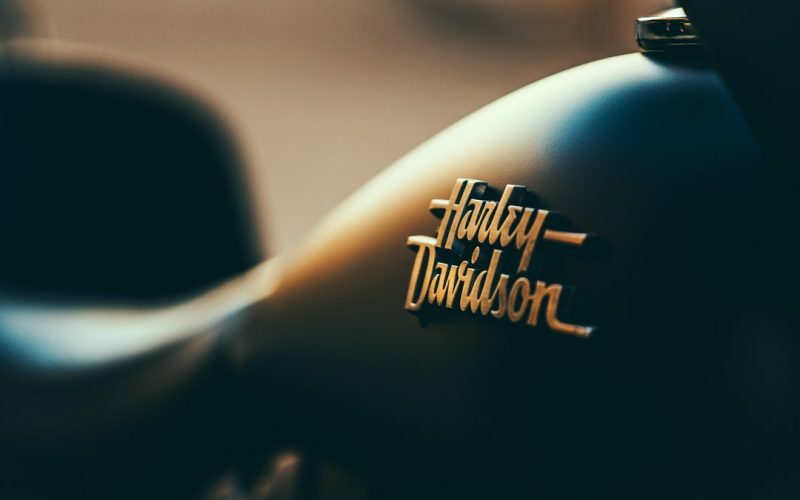 Before you hop on what you hope to be your adventurous and durable Harley, read this article to learn more about 8 common Harley-Davidson problems. The cam tensioner, camshaft, cam bearings, and cam support plate are at risk for operational failure. When and if these components do fail, they could put your engine and electrical system at greater risk for further damage. Keeping the cam compartment components maintained and functioning properly is essential to engine health and the longevity of your investment. The cam chain system is a vital component in the functioning of a Harley’s Twin-Cam engine. Zeroing in on this specific cam component can make you as a buyer aware of its potentially faulty design. The cam chain system of a Harley is designed with plastic shoes that ride on the cam system. The plastic shoes will eventually wear out due to friction. Once the plastic shoes wear out, metal-to-metal contact can occur. This metal-to-metal contact promotes engine failures which can be dangerous to you and your bike. This problem can occur anywhere from 15,000 to 75,000 miles depending on the severity. The only way to truly avoid this problem is to completely swap out the chain system for a gear-driven system. At the very least, check your chain system shoes every 15,000 miles to ensure that the system is not wearing down or creating metal-to-metal contact. Bank on changing the plastic shoes in the chain system every 40,000 miles at the most. When you purchase a Harley, check to see if the chain system is included in the warranty. Using a high-quality oil can also delay the severity of this problem. Harley also offers aftermarket oil fan coolers that can slow the wear of the plastic shoes. They also reduce the effects of friction. Faulty shift shaft seals can lead to internal oil leaks. Oil leaks affect your Harley’s performance, but also your safety. If you notice any fluid leaking from your Harley, you must promptly get it fixed. Over time, this leak could affect other components of your Harley and lead to a much more expensive fix. Harley’s have a bad reputation when it comes to electrical problems such as bulb burn out. While this may seem like only a maintenance issue, some Harley’s bulbs have been installed improperly. Bulb burnout exposes a rider safety problem resulting from signals and brake lights malfunctioning. It’s risky enough to be a motorcycle rider without the risk of bulb burnout. At least once a month, check the lights of your Harley to ensure that your bulbs are in good working order. Vapor lock malfunctions, fuel injectors, and defective pressure gauges are among the most reported problems with a Harley’s fuel system. These problems can be costly and difficult to repair. Complete regular maintenance checks on the fuel system to guarantee that it’s running properly. Touring bikes come with more bells and whistles than standard motorcycles. These extra feature present extra problems. The good news is, these fixes are inexpensive and superficial. The most common accessory issue is blown fuses. Select models got recalled due to brake problems. Models from 2008 to 2011 with anti-locking brakes got recalled in February 2018 due to the sudden loss of braking ability. Harley-Davidson stated that this could get fixed with regular braking fluid flushes and replacing the fluid every two years. But, because this poses a significant risk to riders, Harley-Davidson decided to recall these motorcycles. In total, Harley-Davidson recalled about 250,000 models. Check with the dealer to make to sure that these issues got addressed properly prior to purchasing any of the models affected. In 2015, another recall issued by Harley-Davidson targeted its classic Road King model and other models from 2014 and 2015. This recall involved problems with the clutch system which won’t fully disengage. In the report, Harley-Davidson said this is the result of gas bubbles in the master cylinder clutch. If you’re considering these models, check with the dealer to make sure that the clutch got flushed or the master cylinder got rebuilt. This recall affected 46,000 Harley-Davidson motorcycles in total. The best news of all is that Harley-Davidson problems have solutions. While you may not like the idea of paying for extra fixes, if you want to own a Harley then it’s best to know what problems may arise. Have maintenance regularly done to your Harley and always do your research before purchasing any vehicle. All vehicles have problems, so know before you buy! Check out our Harley Repair Manual to learn more about specific models you’re considering investing in. Visit our blog for answers to your vehicle needs and questions!